The game sees players building a kingdom and competing in both single-player and multiplayer battles. 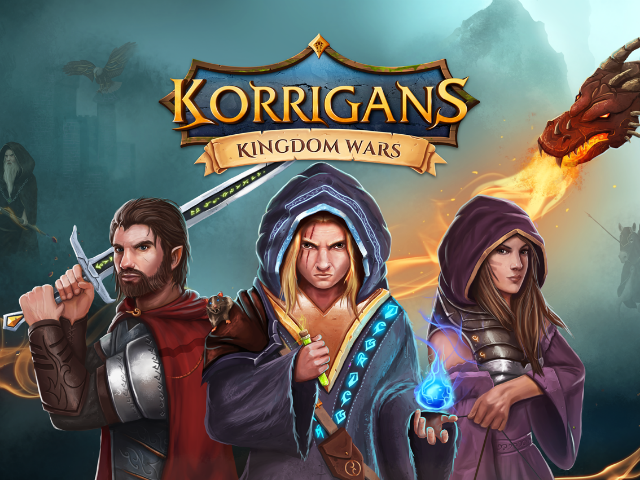 Heroic Legends developer Fabulapps has announced the release of Korrigans: Kingdom Wars on iOS. In the base-building game, players build a kingdom and compete in turn-based battles against the forces of Onalgar. In Korrigans: Kingdom Wars, players will build their base by balancing the use of key resources, including food, wood, gold and stone. Food, stone and wood are automatically produced in buildings over time, while players collect gold by sending some of their town’s citizens through a portal on adventures, with different adventure lengths and citizen requirements relating to different gold payouts. Players are guided through the game via a quest system, with quests rewarding users with bonus resources as they’re completed. In addition to constructing new buildings, players can also upgrade their existing structures to increase their productivity, storage capacities and more, depending on the building. An Alchemy Cabin, for instance, allows players to spend resources to research new technologies for their village, and can be upgraded to unlock new items to research. In addition, defensive items can be constructed and upgraded to protect the kingdom from attack. Outside of building their kingdom, players can take their special hero characters into single-player campaign missions or cooperative real-time multiplayer battles against creatures or bosses. On each turn of combat, players spend a limited number of movement points to move closer to or farther away from their enemies (or to collect bonus items, like health boosts), and spend action points to attack. Each attack requires a different number of action points to activate, but players earn an increasing number of points on each new turn (this will hit a limit if the battle lasts long enough). Players earn resources after each mission, along with up to three stars, depending on their performance. Meanwhile, multiplayer battles see up to three players teaming up against the common enemy, with rewards split between the active players. After each battle, the tired hero must be healed. This healing takes time, or can be skipped using premium currency. This premium currency can also be used to skip building or upgrade timers, among other uses. For additional social features, players can turn some of their citizens into soldiers and raid other players’ bases. When viewing the world map, gamers can also simply view other players’ kingdoms, spy on kingdoms to (hopefully) learn their stats prior to attacking, or send messages to their neighbors. Elsewhere, players can spend premium currency to lock their portal, protecting their kingdom from attacks. Finally, players can join clans with others, and chat in worldwide or clan specific chatrooms. With Korrigans, we decided we didn’t want to sell resources directly; players would have to earn them the hard way so that the game felt as though it had a more even playing field. This was very important to us. This game has been a two-year labor of love, and we are proud to say that we definitely thought more about making an awesome fun-to-play game and less about the monetization … though don’t tell our wives. Korrigans: Kingdom Wars is available to download for free on the iTunes App Store.